In the last couple years, Netflix has gone from greenlighting everything to randomly axing shows. 2018 alone has seen the death knell ring for comedy shows by Michelle Wolf and Joel McHale, as well as Marvel programs you assumed would be around forever because they’re Marvel. But they wouldn’t dare rob us of Big Mouth. 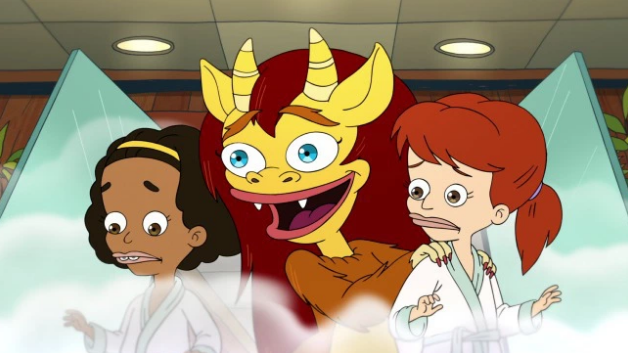 Nick Kroll and Andrew Goldberg’s animated show about being in middle school and having actual “hormone monsters” has, as per Deadline, been greenlit for a third filthy season. Big Mouth is one of Netflix’s crazier programs — a kind of close cousin to the wacky-depressive BoJack Horseman. Kroll and his partner-in-many-of-his-crimes John Mulaney voice seventh graders as they deal with puberty blues, which manifest in the form of horrible, absurdist monsters. Regular supporting voices include Jason Mantzoukas, Jenny Slate, Fred Armisen, Maya Rudolph, and Jordan Peele, who’s voiced the ghosts of Duke Ellington and Freddie Mercury, which should give Big Mouth newbies an idea of what to expect. Season 2 bowed in early October. At the time, Uproxx’s own Brian Grubb called the new episodes “relentless funny” and singled out a bit where Rudolph, voicing a female hormone monster, sings an “I Will Survive”-ish song about body positivity. And then there’s this list ranking said hormone monsters.